Olis Sóller, extra virgin Olive oil D.O. 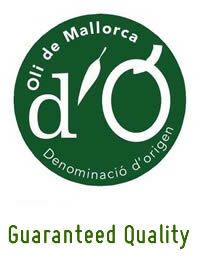 Pure Extra Virgin Olive Oil of "Cooperativa de Sóller Sant Bartomeu". From Mallorquina Olive type, so typical of the Sierra de Tramuntana and especially in Sóller Valley, the Olive Oil produced has a pure grade. This kind of olive has a high volume of oil and produces a golden yellow oil. The taste is fruity, with soft and mild aroma, and touched by almonds and ripe tomatoes. 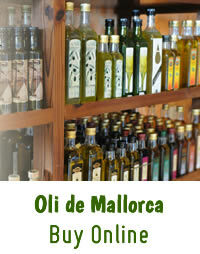 Produced by a mechanical processes with a mixture of Majorcan Olive Varieties. The taste is a nice blend of flavors, resulting bitter, spicy and slightly sweet and fruity with hints of tomatoes, nuts and artichokes.